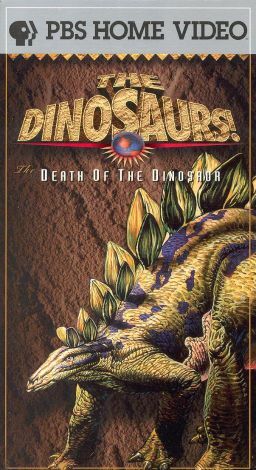 From the PBS Home Video series Dinosaurs!, The Death of the Dinosaurs explores the mysteries as to why these fantastic beasts vanished from the face of the earth. The four-tape series features Dr. John Ostrun, the paleontologist who inspired the character Alan Grant in Jurassic Park. With the help of sophisticated animation, this video addresses the perplexing issue of the dinosaurs' extinction, examining the latest theories on the topic, from massive meteors to disease to violent volcanic eruptions. Other videos in the series include Flesh to the Bones, The Monsters Emerge, and The Nature of the Beast.